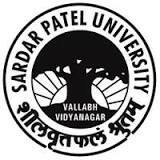 Sardar Patel University (SPU) has published Advertisement for below mentioned Posts 2018. Other details like age limit, educational qualification, selection process, application fee and how to apply are given below. How to Apply: Applications on plain paper along with the Bio-Data (including email address) and all relevant attested document (education qualification, NET clearance certificate & proof of age)should reach by post or through the email (ugccpepa@gmail.com) to Prof. Dr. N. V. Sastry, Chief Coordinator, CPEPA Program, Department of Chemistry , Sardar Patel University, Vallabh Vidyanagar-388 120, Gujarat on or before 14th August 2018. The interview schedule will be informed at the latter date.